Our newest subject that is being offered is computer programming. This includes basic Python and Java with more advanced topics also available to our customers! 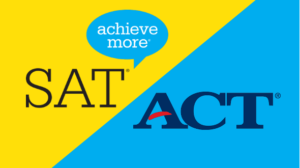 We are now offering SAT and ACT tutoring! Due to popular demand, Groovy Tutors is now offering tutoring for the SAT and ACT. As many of our clients are now approaching the end of high school, we believe that this new service will further expand our business, while helping students reach their goals at the same time! Our subscribors choose how many questions they would like to be allowed per month, then pay accordingly each month directly through the app. For example, 5 questions per month may cost you 1-2$, but this gives the opportunity for packages to go all the way up to unlimited questions per month for more hefty fees. All of this can be done easily by downloading the Groovy Tutors app, which is available on Google Play and the Apple App Store, and following the payment instructions! We are a brand new and innovative company founded by four students at The University of Vermont! Groovy Tutors is a subscription based tutoring service for grades K-12, run by four University of Vermont students. Our service will be run through our app, Groovy Tutors, and will be available on both the Google Play and IOS platforms. Students will create an account and be able to ask any school-related questions they have. 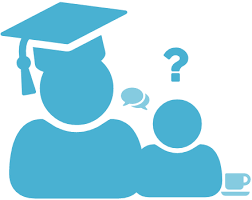 This allows us to appropriately assign a tutor who’s expertise suits the question. The student may then have an open dialogue with this tutor for further instruction or explanation. Each employee is a National Tutoring Association (NTA) certified tutor, guaranteeing any question you may have will be answered appropriately.